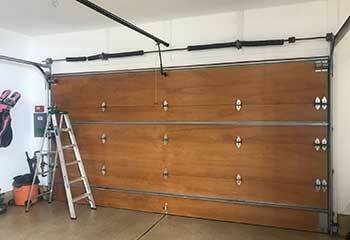 Is your garage door dented and you want to replace it? 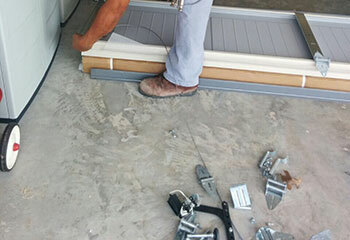 Our technicians will inspect it and advise you on your options. If the damage is minor we may be able to replace a panel or two instead of the whole thing. See how we've helped other customers with various issues by checking out our latest projects below. Customer Issue: Mrs. Givtsky learned that her garage door springs needed replacing soon during a routine maintenance appointment, and booked an appointment. Our Solution: As both springs were still functional, though badly deformed, the replacement operation was straightforward. After carefully easing the tension out of the system, our team cautiously removed the caps, took out the old springs, and lubricated and cleaned the housing before installing the new ones. 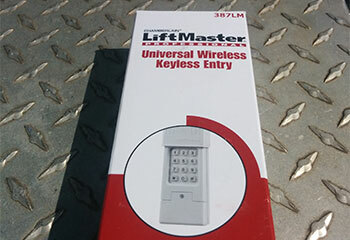 Customer Issue: Malfunctioning opener remote control. Our Solution: We tested the opener first to determine if there was some issue with the inner circuitry. Eventually, we figured that the remote was damaged and could not work anymore. We replaced it with a new one, programmed it, and tested it several times to make sure it was working. Customer Issue: Needed system examination. Our Solution: We carefully inspected the entire system in order to find out the source of the issue. We found that the rollers needed replacement. We took care of the problem by prying them out and installing fresh ones. 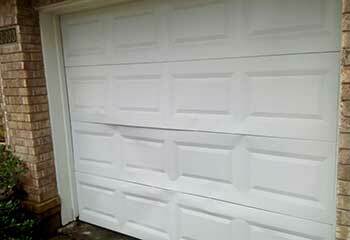 Customer Issue: Damaged garage door panels. Our Solution: We managed to align one of the dented panels, and replaced the broken one with a new matching part. We then proceeded to test the door and make sure all the hinges were in place and that it was moving in perfect balance.